Every two or three years, I make a point to go to the annual Barnes Buchanan (BB) security conference in Florida. It is focused on the security alarm industry and attracts industry players, bankers and M&A advisors. I recommend that any mid to large sized player in the Canadian electronic security industry attend every so often as well. Not only are the educational sessions good, but the opportunities to network and learn are significant. With the qualifications that BB reports strictly on American activity, and by their own admission tells us their data is not foolproof, this is what I picked up from this year’s conference, held in February. Overall, revenues in the electronic security industry through 2018 continued to grow both on the installation and monitoring/service sides. This is probably true in Canada well. BB gave its reasons why the electronic security industry continues to grow but this is what I think: Even with all the talk of DIY and new players like the cable companies in the industry, the market penetration of alarm systems is still below 30 per cent. New technology is attracting customers who now realize that their alarm system can do way more than simply monitor for burglary and fire. You can see security images on your smartphone and use it to open your doors, turn on the lights and control the heat. Also, DIY and MIY (monitor it yourself) companies are proliferating like crazy. a) The net margin on monitoring and service revenue, with more and more added services like alarm.com and cell, continues to drop. It is now at about 54 per cent. When I first got into the industry, and systems mainly just had digital monitoring, it was closer to 65-70 per cent. b) The overall gross attrition rate, now at 11.6 per cent, continues to drop partly because of the extra services mentioned above. c) The overall cost to create new RMR increased a little to 29X. Know that the cost to create residential accounts where the system is installed for very little is almost always much higher than for commercial accounts. Handling house moves well is still the best way to reduce attrition as moves still account for 41 per cent of all cancellations of alarm accounts. A good alarm operator manages to capture one or both of the two opportunities generated from a move — either the existing customer moving to a new premise or the new customer moving into the old premise. While EBITDA is still the standard variable you use to value fire and integration businesses, Steady State Net Operating Cash Flow (SSNOCF) is fast becoming the key measure for companies with significant monitoring RMR. SSNOCF gets at the cash flow an alarm company generates after accounting for the cash cost of replacing its annual attrition. There are lots of threats to small and medium sized alarm dealers in both Canada and the U.S. — DIY, the large nationals, the telcos, etc. However, the smaller players can still beat the bigger players on key items like creating new RMR at a much lower cost, running with significantly less attrition and generally providing better service. When all is said and done, the cable /telcos in the U.S. have only managed to secure two per cent of the American RMR market. In fact, two of the telcos have left the U.S. security market in the last year. The best session put on at BB this year, in my mind, was that by Comcast — the success story of the cable companies in the U.S. with more than 1 million subscribers. Their brand, called Xfinity Home, offers the most advanced technology in the industry and through a partnership with Comcast, Rogers Smart Home Monitoring will be leveraging this technology in Canada starting almost immediately. PERS has grown its target market well beyond placing pendants around older people’s necks in case they fall. The technology has taken off with mobile PERS units being worn on wrists. Every alarm dealer should be able to provide some kind of up-to-date PERS unit. Video monitoring of all kinds is exploding. This is being driven partly by the concepts of “verified response” where the responding authorities are demanding pictures of what is happening before rolling a unit and video analytics, which are doing a better job every day of isolating real from false security threats. 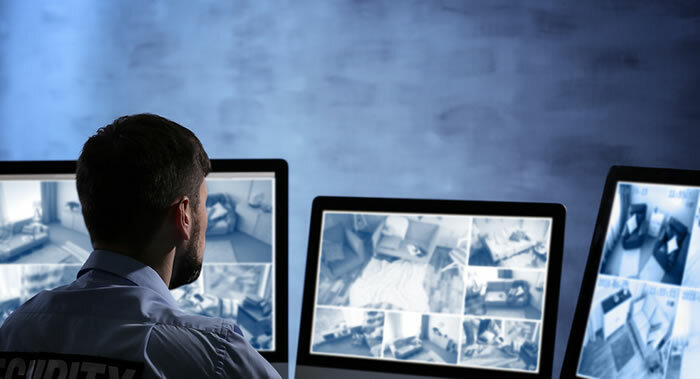 You can’t pretend to be a successful wholesale monitoring station today without providing video monitoring. These comments reflect just some of what I gleaned from the education sessions. If you work the conference properly, you can pick an equal amount of information by networking with people. Victor Harding is the principal of Harding Security Services (victor@hardingsecurity.ca).